The chairman and co-chief executive of Canopy Growth Corp. isn’t ruling out that alcohol giant Constellation Brands Inc. could one day take full ownership of his entire cannabis company. Constellation Brands (STZ.N), the alcohol giant whose brands include Corona beer, announced Wednesday it is investing another $5 billion to raise its stake in Canopy (WEED.TO), Canada’s largest licensed marijuana producer, to 38 per cent. Constellation also paved the way to grow that stake by picking up an additional 139.7 million share warrants, which could ultimately push its ownership interest above 50 per cent. Bruce Linton, founder and co-CEO of Smiths Falls, Ont.-based Canopy, said Constellation’s move for a larger share of his company is a bet that cannabis demand will take off globally and that Canopy can deliver its product better than its rivals. Linton added that he hopes the strengthened Constellation-Canopy tie-up will be able to deliver cannabis beverages a year from now. The rest of the investment will help Canopy expand globally, Linton said, pointing to countries like Greece, Australia and Brazil, which have moved to legalize medical marijuana and could be open to exploring the legalization of recreational use in the future. “I don’t need to buy any production companies in Canada,” Linton said. Constellation’s latest move follows its deal in October 2017, in which the alcohol producer invested $245 million in Canopy. 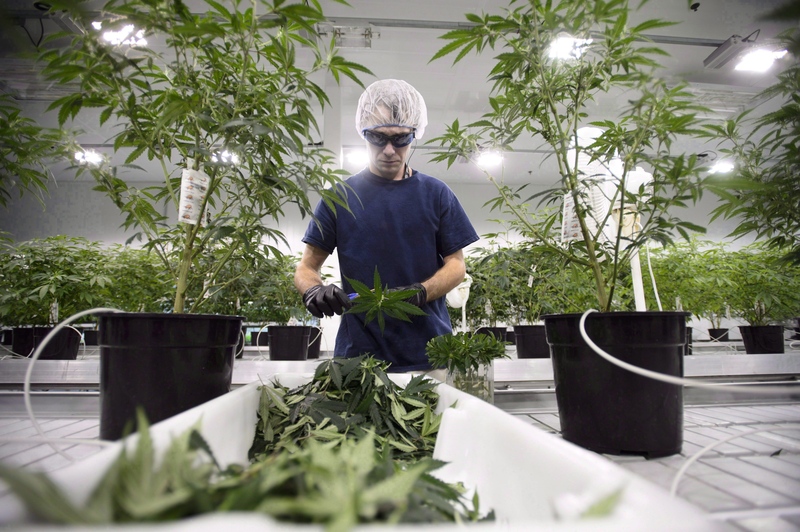 When asked whether Canopy’s headquarters could move from Smiths Falls in the future, Linton said the cannabis producer intends to stay put for now.